Our grandsons Callum, Ryan and Lachlan with Bonnie. Welcome to Yesallaw Kennels, we are Sue & Clifford Gray, and with our three sons Allen, David and Jason we have been showing, breeding and being loved by Newfoundlands since 1988 . Our home is in Westbury, a lovely country town in Northern Tasmania, Australia about 45 mins from Launceston. 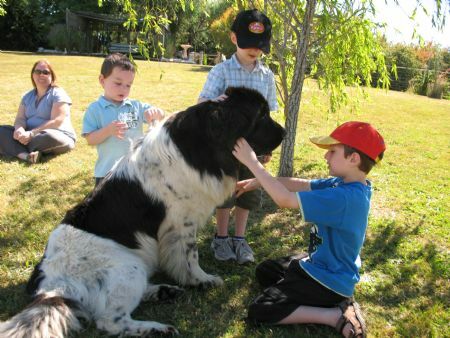 Set on five acres, our Newfoundlands have plenty of room to run around and enjoy. 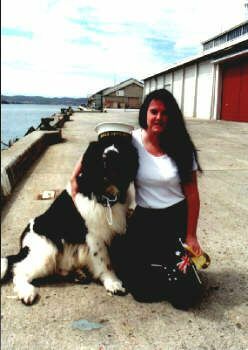 We are a small kennel, with Black and Landseer Newfoundlands. All of our dogs are successful in the show ring and are Australian Champions. As well as being champions in the ring, our dogs are also obedience trained, undertake pet therapy roles and perform cart work, which they love. 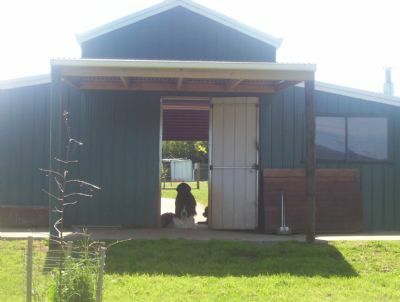 Over the years we have had some wonderful dogs in our lives and kennel. 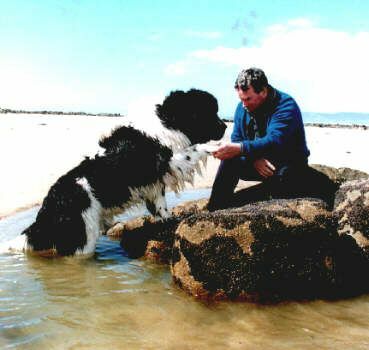 When breeding Newfoundlands, we believe that health, temperament and the well being of the Newfoundland are most important to us. As part of this, we have all our dogs hip and elbow scored, as well as having regular vet checks. All of our puppies are registered and vaccinated. 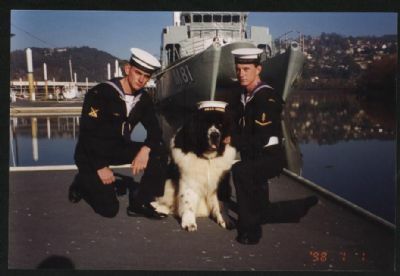 We are also involved with rescuing Newfoundlands in Tasmania, we where take in Newfoundlands who are lost or can no longer be looked after by their owners and we place them in new homes with people who will love and care for them as much as we do. We take pride in what our dogs have done and accomplished, all of our dogs are very much members of our family, our grandchildren are now the next generation to be loved by this wonderful breed of dog.